Should You Avoid Covered Calls During Earnings? Covered calls are a great strategy for investors looking to generate an income from a stock portfolio—such as retirement investors living on a fixed income. By selling the right to buy a stock that you own, you can collect option premiums and you are only required to sell if the stock hits the (higher) strike price. You can only lose money if the stock declines in value, but even then, the drop is offset by the premium income. The strategy may seem straightforward on the surface, but there are many important considerations. For example: What stocks are best suited for covered calls? What strike price and expiration should you use? And, as we will discuss in this article, should you trade covered calls during earnings announcements? It’s important to answer these questions to avoid making costly mistakes when using covered call strategies. 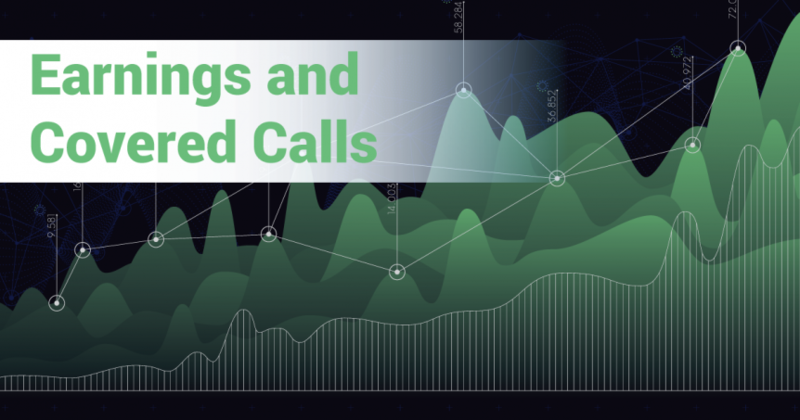 In this article, we will look at how earnings reports impact covered call returns, as well as the pros and cons of trading covered calls during earnings. Most investors should avoid writing covered calls during earnings due to the greater uncertainty. Earnings reports can significantly increase stock price volatility. If the Efficient Market Hypothesis holds true, earnings reports are one of the few times when stocks need to be repriced with new information that affects their value. Stock prices can move sharply higher or lower in just seconds, potentially erasing days or months of accumulated returns. Option prices depend on a variety of factors, including implied volatility (also known as σ or IV), which represents the annualized expected one standard deviation range for the stock price. 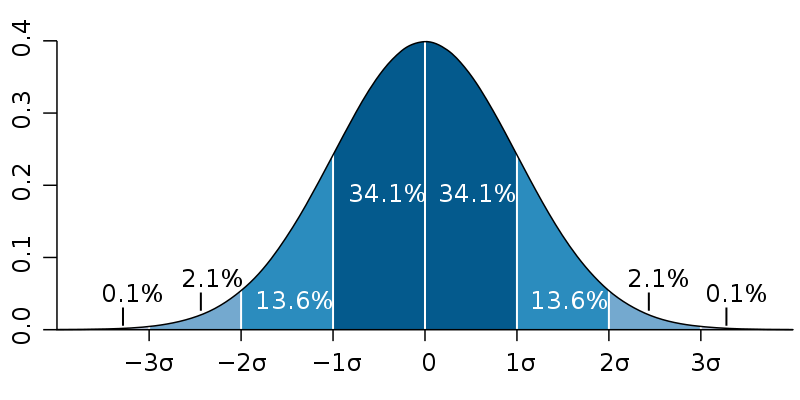 In statistics, one standard deviation accounts for 68.2 percent of possible outcomes, which means that IV accounts for likely rather than all outcomes. Suppose that a company’s stock trades at $100.00 per share with a 25 percent implied volatility. This means that the stock has a one standard deviation range of $25.00 over one year. In other words, there’s a 68.2 percent probability that the stock will be between $75.00 and $125.00 in one year. A large portion of this price movement may occur at or following an earnings announcement when fundamentals change. Implied volatility is higher for stocks that have greater uncertainty around earnings. For example, a chipmaker with significant swings in supply and demand will have greater implied volatility than an established beverage company that has stable and diversified sales. Greater levels of implied volatility translate to higher option premiums given the greater level of uncertainty about future prices. In the previous example, writing a covered call on the chipmaker would provide a greater income than writing a covered call on the established beverage company since there’s less certainty. Implied volatility—and the trend in IV over time—tells investors how much uncertainty exists in the market, but it doesn’t help investors predict the direction of the volatility (e.g., higher or lower). These directional predictions require some extra analysis of analyst estimates and historical trends for a given company and its stock. Even with all the necessary information at your fingertips, it still may be impossible to consistently predict future stock prices. Download our free earnings estimation worksheet to estimate volatility from an upcoming earnings announcement. Earnings Estimates: Analyst earnings estimates provide baseline expectations for earnings results. If estimates are all over the board, investors can expect to see some volatility following the earnings report. Historical Volatility: The historical price movement following an earnings report is usually a reliable indicator of future volatility since certain industries or companies may experience more earnings fluctuations than others. Beta Coefficient: A stock’s beta coefficient, or general volatility, is another indicator that can be helpful when assessing volatility following an earnings report. There are many services that can help investors find earnings information for a company, like Yahoo Finance, Google Finance or YCharts. There are also companies focused specifically on earnings, like StockEarnings. It tries to predict price volatility following earnings by looking at historical earnings, analyst estimates and other factors. Investors can use these tools to help make predictions and support their decision of whether to use covered calls during earnings. Investors should carefully assess the risk of holding a covered call during earnings season by estimating the direction and magnitude of the price movement. If they expect the price to rise ten percent, they can write covered calls with a strike price that avoids the option being called away. If they expect the price to fall, they can avoid the stock or write a covered call at a lower strike price to offset or prevent losses. There are many pros and cons to consider before trading covered call options during earnings season. In many cases, the decision depends largely on the individual investor’s risk tolerance and long-term investment goals. Don’t forget to download our free earnings estimation worksheet to estimate volatility from an upcoming earnings announcement. During earnings seasons there will be a higher level of uncertainty which can make for lucrative premiums for covered call writers. If you are committed to sell the stock at the strike price of the covered call, the extra premium should offset the risk. If you don’t want to sell your shares or want to participate if the stock has a significant increase in price, you should avoid selling a call on your shares. For example, The Snider Method selects stocks based on their covered call option income potential rather than the future direction of the stock price. This system has been refined over more than a decade to be a consistent, rules-based approach to reduce risk and generate greater portfolio income. As long-term investors, not concerned with the short-term swings due to earnings, we don’t let them change our approach. Speculative investors may use covered calls during earnings season as a way to generate higher levels of premium income. By making earnings predictions, they can avoid stocks that are expected to experience a decline in value and select strike prices that avoid the chances of being called away while maximizing income levels. Long-term investors writing covered calls against their long-term stock holdings may face a harder decision. Covered calls could limit the upside of a positive earnings surprise without very limited downside protection. But in some cases, they may be attractive if the investor is confident in their predictions or the premium is worth the risk. Covered calls are a great way to generate an income from a stock portfolio—especially for retirement investors living on a fixed income. Without a time-tested, consistent approach, writing covered calls during earnings season should be avoided due to the greater level of uncertainty and risk of capital loss, but there are some exceptions to the rule. For income-focused investors, Snider Advisors provides a consistent, rules-based approach that’s designed to generate a monthly cash flow as close to one percent of the total investment as possible with no permanent loss of capital. Sign up for a free introductory course or download the Snider Investment Method Owner’s Manual today! 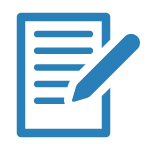 Download our free worksheet to estimate the direction and magnitude of a price movement following earnings.